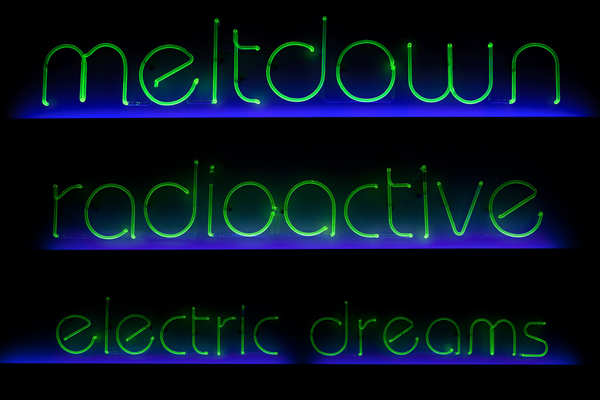 Electric Dreams are a series of signs made from extremely rare vintage uranium glass borosilicate tubing in the traditional form of neon signage, but with an important difference. 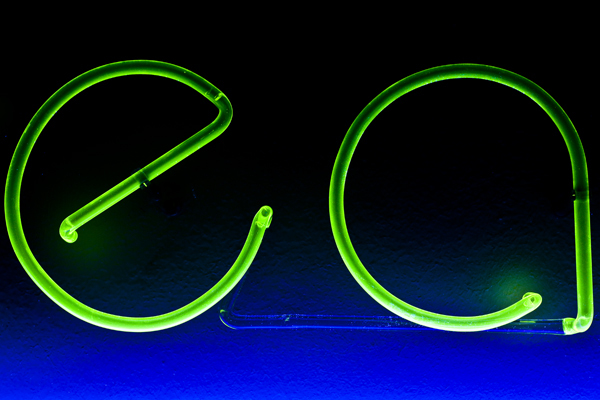 These signs do not use electrodes, but glow independently as a result of the reaction to additional UV tube lighting. The radioactive isotypes in the uranium reacts with the UV to form an alluring green glow. The viewer is prompted by total interaction, the connection between uranium, “advertising” and electricity undeviating within a beautiful and powerful aesthetic.